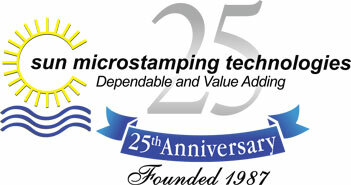 In 1987, Sun Microstamping Technologies (SUN) was founded in Clearwater Florida, by Phil Ross the current VP of Sales and Engineering, with the principle of contributing to the success of our customers. Sun Microstamping Technologies has shaped a reputation for excellence in precision Metal Stamping, custom plastic Injection Molding and custom Insert Molding for products featuring a high degree of difficulty. Sun Microstamping Technologies has two manufacturing facilities with a combined 170,000 sq ft, located in Clearwater, Florida and Matamoras, Mexico. SUN’s manufacturing plant in Mexico has over a decade of experience and has established reputation for producing quality products on time. All divisions of Sun Microstamping continue to grow and improve technologies and quality to meet the latest customer challenges.